Memorial Day Weekend, the time we take to honor our fallen veterans (though we hope to do that every day), while also celebrating what they have done for us in the way of barbeques, ceremonies, and dwelling on good memories. 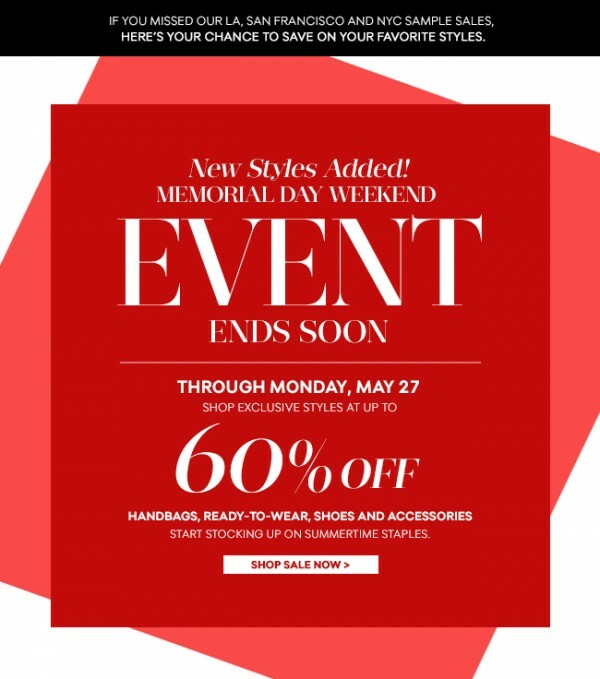 Memorial Day Weekend has also turned into a kind of shopping holiday (much like Black Friday and Cyber Monday). But who really wants to leave the poolside, or their bed on a rare day off? Us either. So grab your laptop, your iPad, your phone or any other device you can use to browse these amazing Memorial Day Weekend Online Sales, starting right now! You haven until Tuesday to shop this sale. 30% off new summer styles like the breezy ‘Willow” asymmetrical-hem dress. ASOS is getting in on the fun with their 20% off everything code ‘TAKE20’ There are just too many choices… what will you be purchasing? 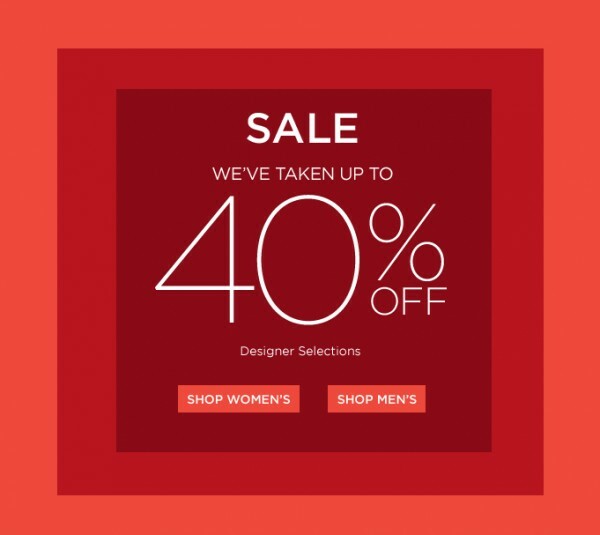 They have taken up to 40% off select designer styles for men and women! 40% off select style. We are especially loving the Christopher Kane printed Skinnies—perfect for summer. 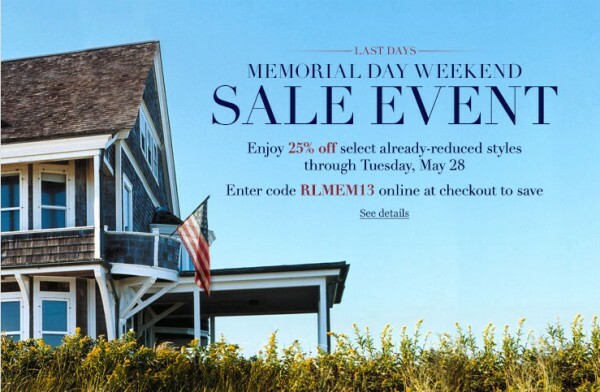 For you super sale shoppers out there, you’ll love Ralph Lauren’s 25% off already-reduced styles through Tuesday. We can’t wait to see what you got! Who Will Be The 2013 Parsons Designer of the Year Winner? Courtney Love’s fashion line plus spooky mani’s and chic pumpkins via Lauren Conrad.